Stephanie Coontz, award-winning writer on the history of marriage, chatted with Jack Schultz, director of the Bond Life Sciences Center. 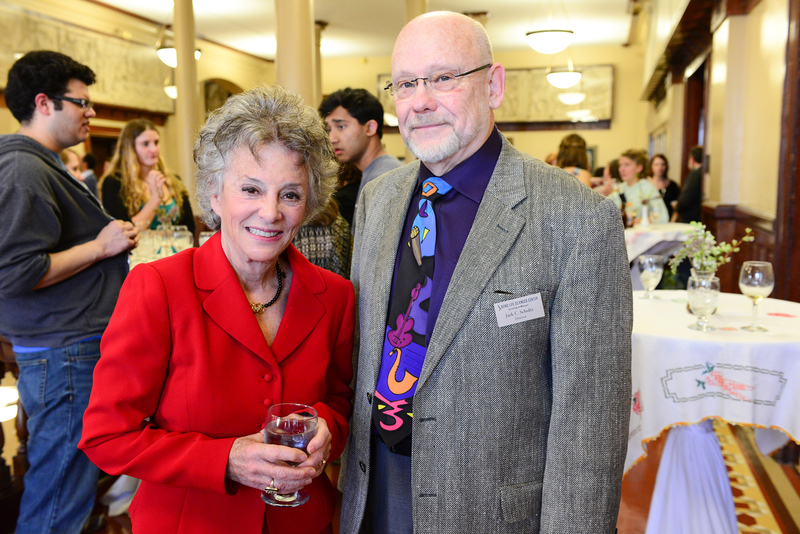 Coontz presented the keynote address Friday night at Claiming Kin, MU’s 9th annual Life Sciences and Society Symposium. Check out Saturday and Sunday’s speakers on the subject of kinship athttp://lssp.missouri.edu/claimingkin/schedule. 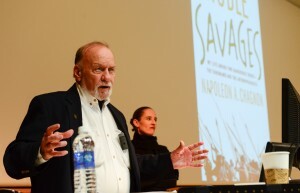 Napolean Chagnon spoke to a full house Tuesday in Monsanto Auditorium about his new book, Noble Savages. Chagnon joined MU’s Department of Anthropology as Distinguished Research Professor and Chancellor’s Chair of Excellence in 2013. He was elected to the National Academy of Sciences in 2012, but is most known for contributions to his genealogical research, his contributions to evolutionary theory in cultural anthropology and his work in the study of warfare. His new book is a retrospective look at his work as an anthropologist, where he most famously document the Amazonian Yanomamö tribe of Venezuela in the 1960s. His work caused controversy because it detailed a tribe violence within the tribe, an attribute at the time thought to be caused by the intrusion of modern societies on native people. 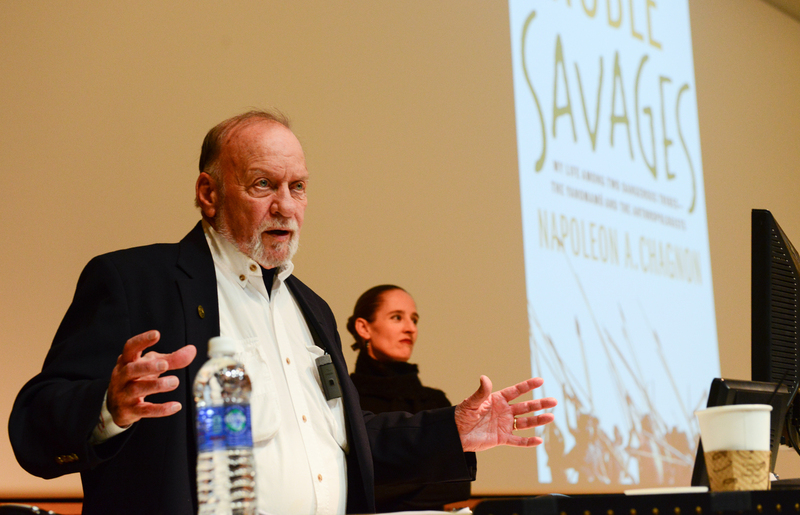 Read more about Chagnon and Noble Savages: My Life Among Two Dangerous Tribes—the Yanomamö and the Anthropologists from Mizzou Weekly.